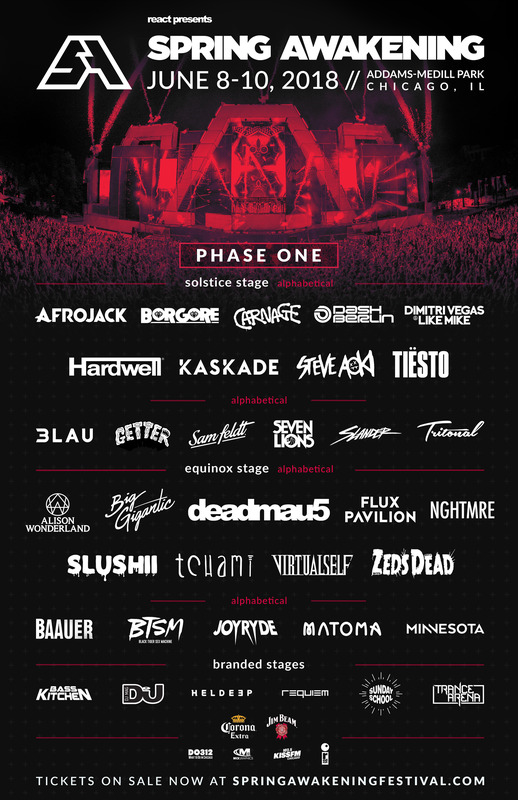 Spring Awakening Music Festival has just announced the first phase of their electronic summer festival that will take place in Addams/Medill Park, Chicago. 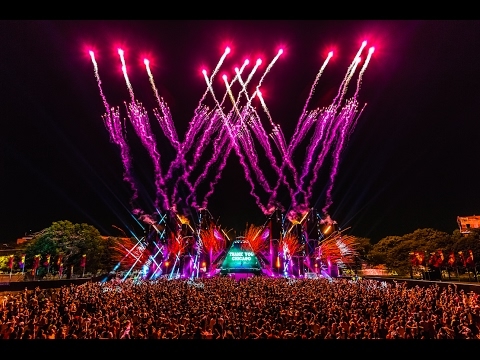 Returning for it’s seventh year, Spring Awakening will continue the tradition of bringing big-name EDM artists to the Windy City with headlining acts on the phase 1 lineup that include: Deadmau5, Hardwell, Kaskade, Afrojack, Steve Aoki, Tiesto, and more. With the hhase 1 lineup comes the release of the six branded stages appearing this year at Spring Awakening: Bass Kitchen, Trance Arena, Sunday School, the techno themed Requiem, Heldeep, and DJ Mag. All of these stages will feature some sort of EDM genre specifically tailored to the sponsorship, making it a mini festival within a festival, be sure to make a stop at each of these! For a glimpse of last year’s escapade, be sure to watch the official 2017 after movie, here. 3-Day GA and VIP tickets to the seventh Spring Awakening Music Festival in Chicago can be purchased from their website, here.